I want to talk about the importance of trust. Trust in the milk you provide. Trust in the products that milk becomes. Trust in the work you and your families do on your farms and in the care you provide your animals. The dairy checkoff is a steward of that trust, a role we’ve played since the National Dairy Council was formed in 1915. 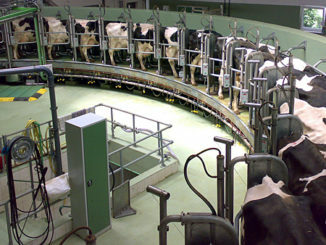 Our vision is that people view dairy as essential to their lives, which will result in increased demand for your milk. To realize that vision and the positive impact on demand, we must continue to build the trust that consumers and thought leaders have in dairy farmers, the community and in dairy products. Trust is the bedrock upon which our programs are built. Without trust, our work with important partners such as McDonald’s, Domino’s, Pizza Hut, Taco Bell, fairlife and others might not happen. 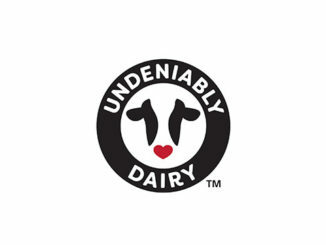 Trust in and support for the work you do on your farms every day is what helped us unite the dairy community behind the Innovation Center for U.S. Dairy’s “Undeniably Dairy” consumer confidence initiative. Because of that trust, key thought leaders in the health and nutrition community see us as a leader and they advocate for and endorse dairy as a key part of people’s diets. At our annual meeting, I outlined five keys to building and maintaining consumer and thought leader trust. These are our “trust priorities” that we will keep front and center. This month I’ll cover the first two, and next month we’ll talk about the others. Global Nutrition Policy & Regulatory Environment: Growing pressure from the global nutrition policy and regulatory environment continues to create a challenging environment for food manufacturers and to affect nutrition policy and dietary guidelines around the globe. While the United Nations drives global policy and programs, we will need to work with external groups that are educating the UN on what policy should look like. These activities are not just working on dynamics elsewhere – they will influence and shape the U.S. Dietary Guidelines, which will be announced in 2020. These guidelines will ultimately focus on how we will achieve the 2030 Sustainable Development Goals. Your checkoff research staff, led by Dr. Greg Miller (follow him on Facebook and Twitter), is actively involved in global discussions that help U.S. dairy remain a key player as dietary and sustainability standards are worked out. This helps the world see U.S. dairy as a trusted supplier of safe, nutritious products, opening additional markets for your milk. 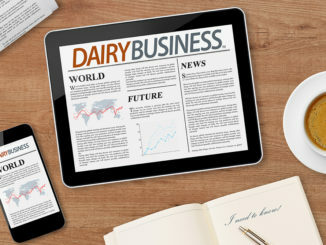 Global Sustainability Framework & Reporting: In a rapidly changing customer, regulatory and activist-influenced marketplace, a unified voice that represents the entire dairy community is essential to reinforcing consumer trust. This has been core to our programs, through organizations such as the farmer-founded Innovation Center for U.S Dairy, but it is now just as critical in the global market. As the dominant dairy community organization for the U.S. market, the Innovation Center will use the Dairy Sustainability Framework (DSF) to demonstrate global leadership in sustainable food systems. The DSF was developed to provide overarching goals and alignment of dairy’s actions globally on the path to sustainability. The DSF will enable dairy to take an all-encompassing approach to sustainability through a common language and alignment of international activity, and through this generate a common sustainability commitment that can be expressed at global, regional, national and organizational levels. Next month, I’ll discuss other keys to building trust and the efforts the checkoff has underway to maximize your investment and to further strengthen the trust consumers, influencers and thought leaders here and around the world have in U.S. dairy. In the meantime, if you have any thoughts, please contact us through [email protected].